Mount Elgon is an extinct shield volcano on the border of Uganda and Kenya, north of Kisumu and west of Kitale. The mountain's highest point, named "Wagagai", is located entirely within the country of Uganda. It is the oldest and largest solitary volcano in East Africa, covering an area of around 3500 km². Ngwarisha, Makingeny, Chepnyalil and Kitum caves. 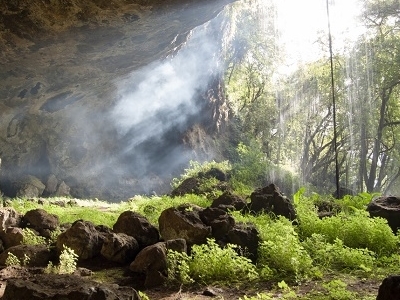 Kitum Cave is over 60 metres wide and penetrates 200 metres. It is frequented by wild elephants who lick the salt exposed by gouging the walls with their tusks. It became notorious following the publication of Richard Preston's book The Hot Zone in 1994 for its association with the Marburg virus after two people who had visited the cave (one in 1980 and another in 1987) contracted the disease and died. The mountain soils are red laterite. The mountain is the catchment area for the several rivers such as the Suam River which becomes the Turkwel downstream and which drains into Lake Turkana, the Nzoia River and the Lwakhakha which flow to Lake Victoria. The town of Kitale is in the foothills of the mountain. The area around the mountain is protected by two Mount Elgon National Parks one on each side of the international border. 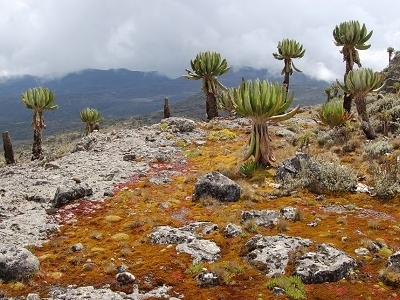 Here's the our members favorite photos of "Volcanoes in Mount Elgon National Park". 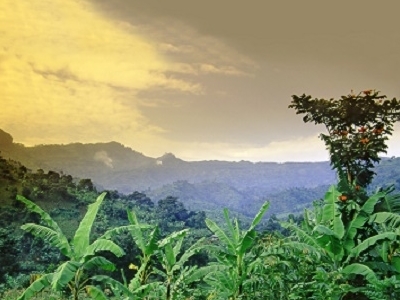 Upload your photo of Mount Elgon! Get in touch with 2 Touristlink members who want to visit Mount Elgon or with Carlos Olaaka, Riverine Safaris and 3 others who already have been here.